State/District: California, Los Angeles Co.
Two stones, weighing 452.6g and 245.4g respectively, were found by Bob Verish in his back yard while he was cleaning out a box of rocks that was part of his rock collection; the specimens may have been collected about 20 years ago in the Mojave Desert; classification and mineralogy; a basaltic shergottite, similar in texture to QUE 94201, J.N.Grossman, Met. Bull. 84, MAPS, 2000, 35, p.A199. Find circumstances, R.S.Verish, Meteorite!, 2000, 6(3), p.34. Petrology and D/H ratio, A.E.Rubin et al., LPSC, 2000, 31, abs. #1963. Noble gas data and cosmic-ray exposure ages, D.H.Garrison and D.D.Bogard, MAPS, 2000, 35, p.A58 (abs.). Contains terrestrial carbonates based on carbon isotopic composition, G.A.Graham et al., MAPS, 2000, 35, p.A63 (abs.). Chemical composition of pyroxene and plagioclase, T.Mikouchi, MAPS, 2000, 35, p.A110 (abs.). Cosmogenic radionuclide data, K.Nishiizumi et al., MAPS, 2000, 35, p.A120 (abs.). Rb-Sr dating, L.E.Nyquist et al., MAPS, 2000, 35, p.A121 (abs.). TOF-SIMS analysis of hedenbergite, fayalite and silica in pyroxferroite breakdown material, D.Rost et al., MAPS, 2000, 35, p.A138 (abs.). Kr-81-Kr cosmic-ray exposure ages, D.Terribilini et al., MAPS, 2000, 35, p.A155 (abs.). Classification, comparison with other shergottites, P.H.Warren et al., MAPS, 2000, 35, p.A166 (abs.). Mineralogy and petrology, J.P.Greenwood et al., LPSC, 2000, 31, abs. #2074. Chemical composition; geochemistry, P.H.Warren et al., LPSC, 2000, 31, abs. #2001. Detailed mineralogical study; similarities to A 881757 lunar mare basalt, T.Mikouchi, Antarct. 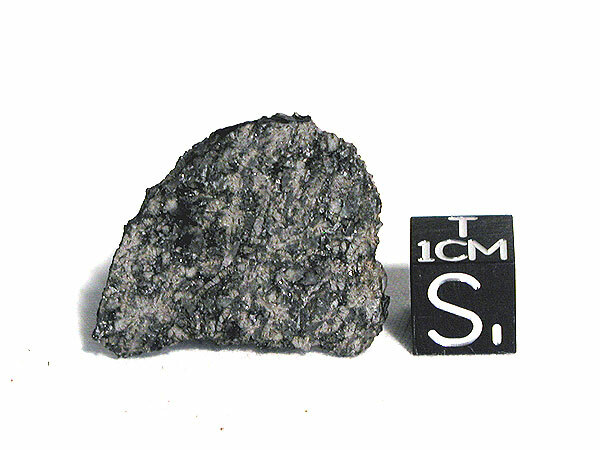 Meteorite Res., 2001, (14), p.1. Ar-Ar dating, D.H.Garrison and D.D.Bogard, MAPS, 2001, 36, p.A62 (abs.). Oxygen isotopic composition of whitlockite, J.P.Greenwood and R.E.Blake, MAPS, 2001, 36, p.A72 (abs.). Study of late-stage reaction textures, C.J.Aramovich et al., LPSC, 2001, 32, abs. #1003. Sulfur isotopic composition, J.P.Greenwood et al., LPSC, 2001, 32, abs. #1734. Pre-atmospheric size based on Kr isotope data, O.Eugster et al., LPSC, 2002, 33, abs. #1096. Trace element abundances, A.Jambon et al., MAPS, 2002, 37, p.1147. Noble gases, CRE ages and Kr-81/Kr-83 ejection age (3.0±0.3 Ma), O.Eugster et al., MAPS, 2002, 37, p.1345; see also, J.Park et al., LPSC, 2003, 34, abs. #1213. Mineralogy and microtextures of melt pockets, E.L.Walton and J.G.Spray, MAPS, 2002, 37, (Suppl. ), p.A146 (abs.). Spinels and oxygen fugacity, C.A.Goodrich et al., LPSC, 2003, 34, abs. #1426. Mössbauer spectrocopy of mineral separates and bulk material, M.D.Dyar, MAPS, 2003, 38, p.1733; see also, LPSC, 2003, 34, abs. #1701. 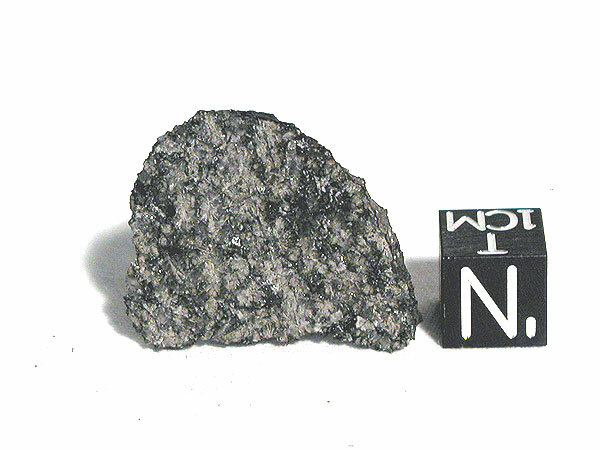 Tungsten isotopic composition, C.N.Foley et al., LPSC, 2003, 34, abs. #2117; see also, LPSC, 2004, 35, abs. #1879. Major-element trend for melt and its source material, Y.Ikeda and G.Shimoda, Papers 28th Symp. Ant. Met., NIPR Tokyo, 2004, p.17 (abs.). Mineralogy and petrology; heterogeneity between stone 1 and 2, P.H.Warren et al., MAPS, 2004, 39, p.137. Hydrogen and water content, M.D.Dyar et al., LPSC, 2004, 35, abs. #1348. Study of trapped noble gases andd nitrogen isotopes, S.V.S.Murty and R.R.Mahajan, MAPS, 2004, 39, No. 8 (Suppl. ), p.A75 (abs. ).